Tarryn Fisher, Colleen Hoover, Katja Millay....and Taylor Swift. To ask Lisa De Jong questions, please sign up. Is there going to be a 3rd book to the Flawed Love series? Lisa De Jong There will be a novella to short novel called Words Unspoken early Spring. 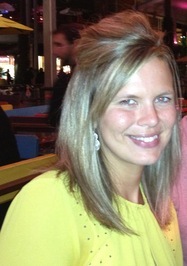 Lisa De Jong October 19, 2015. I had a few delays because of a move and family obligations, but it's done! Lisa De Jong said: " Yes...this has been pushed back one more time. It needed a sequel and I didn't want it to be more than a standalone so that's what it will be. It's worth the wait...hang with me. Here is a fresh teaser to hold you over! When we’re both on the sidewalk, Yes...this has been pushed back one more time. It needed a sequel and I didn't want it to be more than a standalone so that's what it will be. It's worth the wait...hang with me. I open my mouth to speak, but he beats me to it. He pulls me even closer for a few short seconds before releasing me. Winter is cold, but it’s never been this cold. I wish I were the type of girl who could invite a guy up to her apartment without blinking an eye, but this us isn’t really an us. There’s him, and there’s me. Two people so different yet magnetized by pain. He doesn’t know it, but I do. He's my reason. This will be a standalone! It's the one book I've written that did more for my soul than When It Rains. ...more "
We’d love your help. Let us know what’s wrong with this preview of Plastic Hearts by Lisa De Jong. On Sale for 99 cents through this weekend! “What would you say if I said I was going to kiss you right now?” he asks, resting his finger u On Sale for 99 cents through this weekend! “What would you say if I said I was going to kiss you right now?” he asks, resting his finger under my chin. Why am I here? I could have learned enough about this case without coming. I wanted to be here. I wanted to be with River. Bloggers interested in participating in the cover reveal and receiving an early ARC, please fill out the attached form! We’d love your help. Let us know what’s wrong with this preview of Break Even by Lisa De Jong. On sale for $0.99 right now! We’d love your help. Let us know what’s wrong with this preview of When It Rains by Lisa De Jong. Yes...this has been pushed back one more time. It needed a sequel and I didn't want it to be more than a standalone so that's what it will be. It's worth the wait...hang with me. "Patience is a virtue!!! 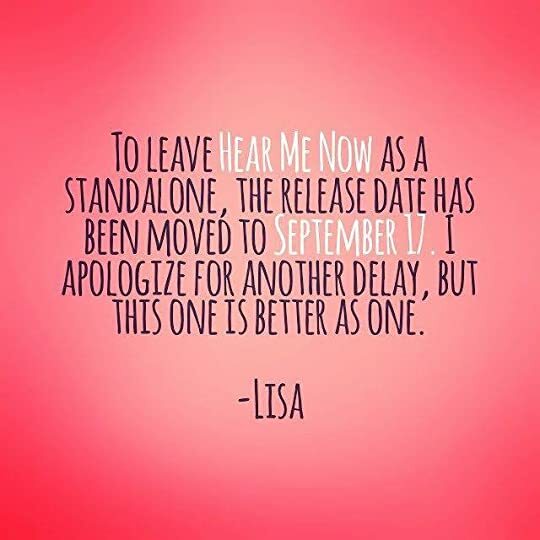 I am super excited for this book.....Lisa just posted that we will have this as ONE book, but the release date has been pushed back to September 17th so she can finish it. Hey Lisa, thanks for the friend invite. Thanks! Loved your book When it Rains! Beautiful!! Ana Rita wrote: "Hi Lisa! Thank you for the invite, I'm looking forward to reading 'When It Rains' :) <3"
Hi Lisa! So awesome to see you here, thanks! 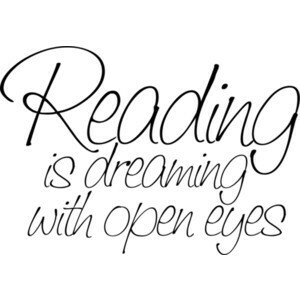 Look forward to "Goodreadsing" with you! Lisa wrote: It will be out in March. It will be linked to this profile in the next 24-48 hours;)"
That's great. I'm so excited for you!! Nicole wrote: "How's the book coming along? Can't wait for it!!" How's the book coming along? Can't wait for it! !